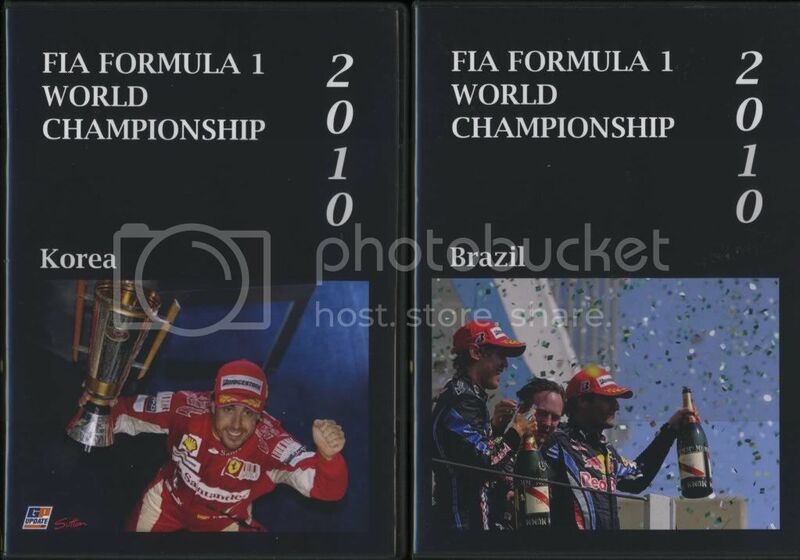 here are a few photos of the 2010 DVD set i created myself - recorded the qualifying sessions and races on TV and then made my own DVD cover and label. Edited 3 time(s). Last edit at 13/02/2013 16:20 by Rosberg. Have you made the diecast cars as well as the driver figures? My GOD!! !...I want to buy that stuff Rosberg!!! Amazing stuff mate. 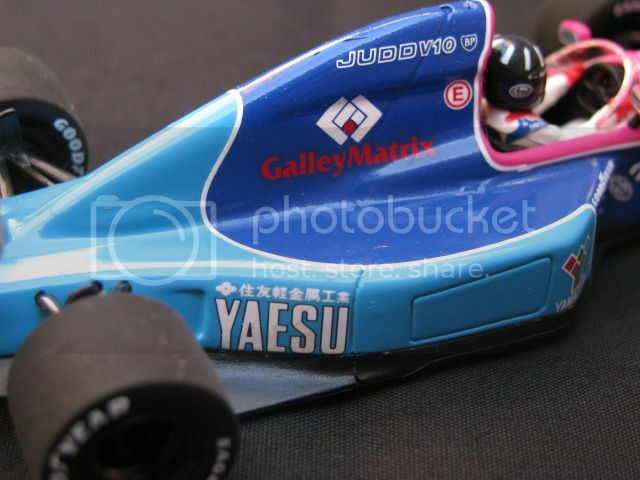 I love it to see that you have got that ´92 March diecast. Is it the one of Lammers? my collections consist of both diecasts and kits - the diecasts are (already built by the manufacturers) from Minichamps / Sparks / Onyx etc and the kits (need to be painted & built) are from Tamiya / Tameo / Studio 27. AJ - i've a few Marches in my collections - 87 March in 1:43 (Spark), 90 March in 1:20 (Tamiya) and 91 March in 1:43 (Spark). I've the 92 March (also by Spark) on pre-order. 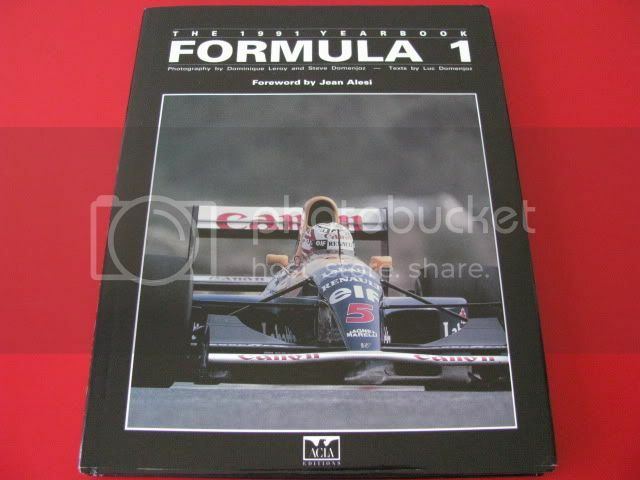 Apart from kits and diecasts, I also collect F1 books - last time i counted, i have about 200 F1 books on my book shelf, I think they are great in gaining knowledge of the sport. 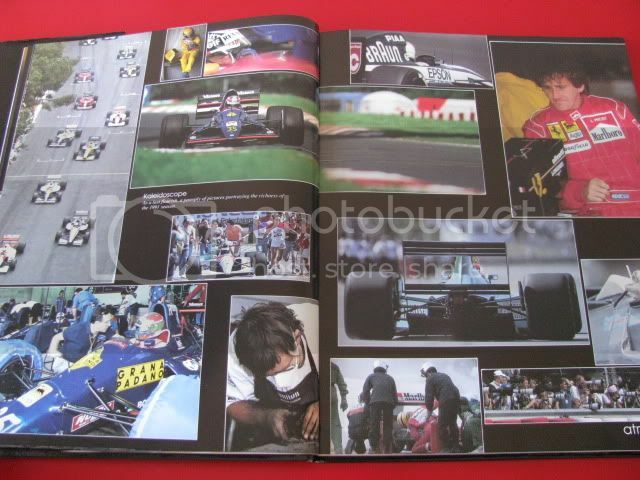 here is a 1991 Formula 1 Yearbook - i think this is a great F1 annual and at one time, was even better than Autocourse. 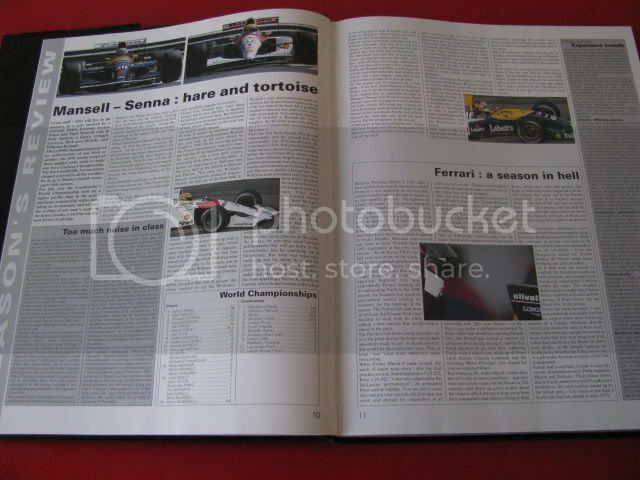 This book is in very large format and consists of many photos and side stories - both people movements and new sponsorship changes - of the sport rather than just focuses on the main race. Sadly this book stopped its publication after 2008. WOW. 200 books! Always suspected you wikipedia-ed things on the quiz but now I know you're absolutely legit. Awesome. 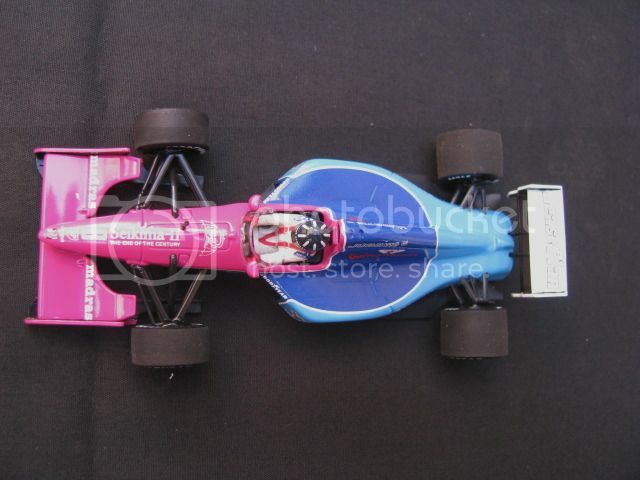 Am I alone or did F1 cars look so much better in early nineties? 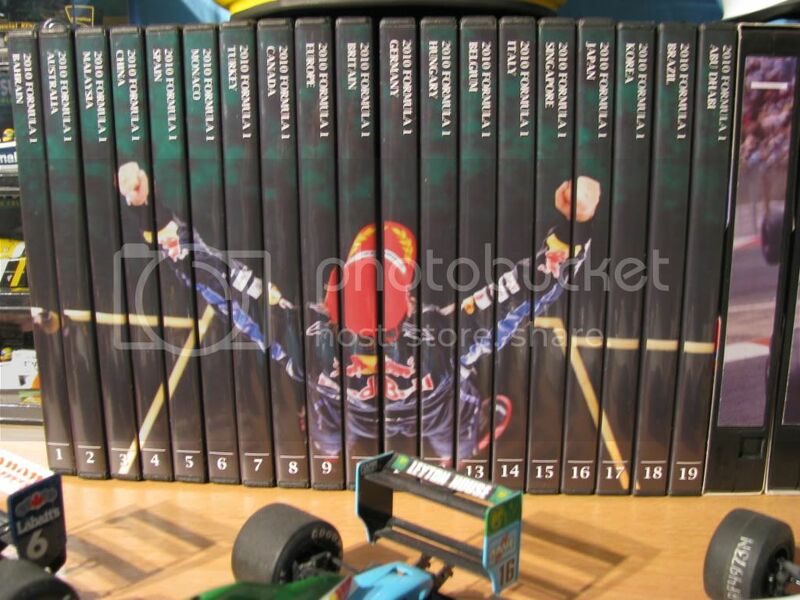 Rosberg - that's a mighty, mighty fine collection of memorabilia you have accumulated there - great work. My collection is nowhere near as extensive, but I do have some pieces that I appreciate. 1x large Ayrton Senna print (from his McLaren days). 1x self made Ayrton Senna tribute artwork (features a picture of the FW16, a mosaic of Senna himself, and a picture of the McLaren MP4/8 from 1993 all together in a framed piece with simple placard with Sennas Date of Birth and Date of Death). 1x Miniature Ayrton Senna helmet & a large Senna flag. 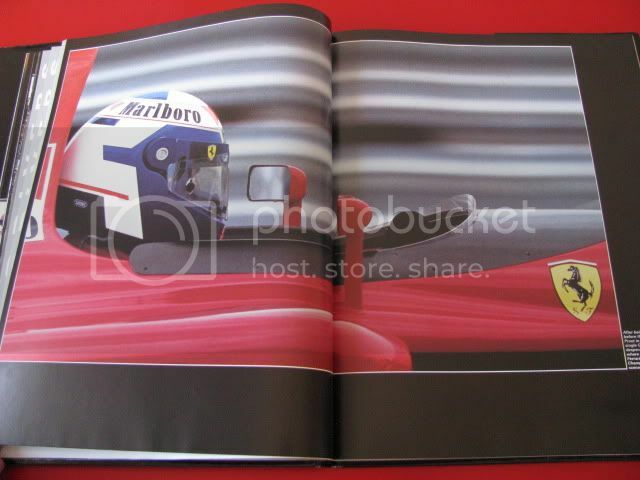 Moving on from Senna though, I have various airbrushed prints of F1 cars throughout the years. One of which was signed by Mark Webber (a print of the RB6 from 2010 - Mark signed this for me at an event prior to the Australian Grand Prix in 2011). I also have a limited edition signed 1:2 scale helmet from Mark Webber in display case. Mark released 50 of these after the 2011 season. I was the very lucky individual who was sent #1 of 50. 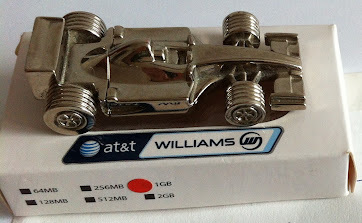 I also have various diecast models - mostly Williams models. The pride of which is my Minichamps 1994 Williams FW16 in full Rothmans livery of Ayrton Senna (which I keep under lock & key - only comes out of the box when I'm feeling particularly nostalgic. There are also models of the FW27, FW28 & FW29 (although the FW28 was damaged when it was posted to me). There are various other items floating around - signed Red Bull hat from Mark Webber, signed Nico Rosberg print, various other Autographs obtained at the Melbourne Tennis Match in 2006 (drivers competed against each other in singles & doubles tennis - obtained quite a few autographs that day). 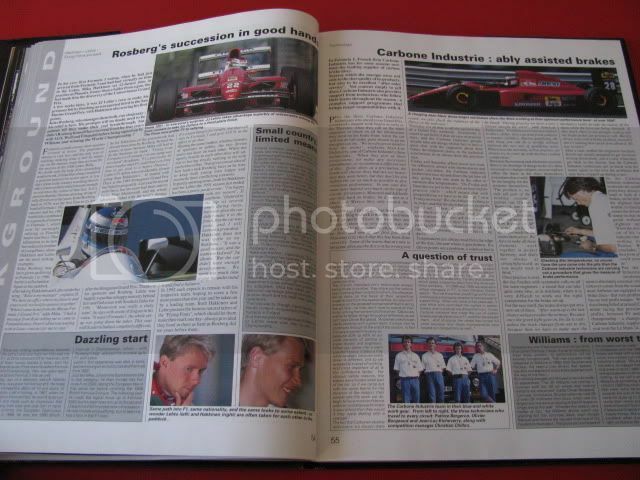 Also various F1 related books, DVD's & Bluray discs. Rosberg you have some amazing stuff !! - Some Lanyards, cards, cap and posters . Vancha - very nice collections of Williams caps, i sure want to get one myself. i never wikipedia the quiz answers, it's in the rule. Actually, i never even check out my F1 books for the quiz questions, as i think it's similar to surfing the internet for the answers and my books would have 95% of all the answers. I only answered questions that i know in "my head", that's why i rarely able to answer statistical questions as i cannot recall such details. 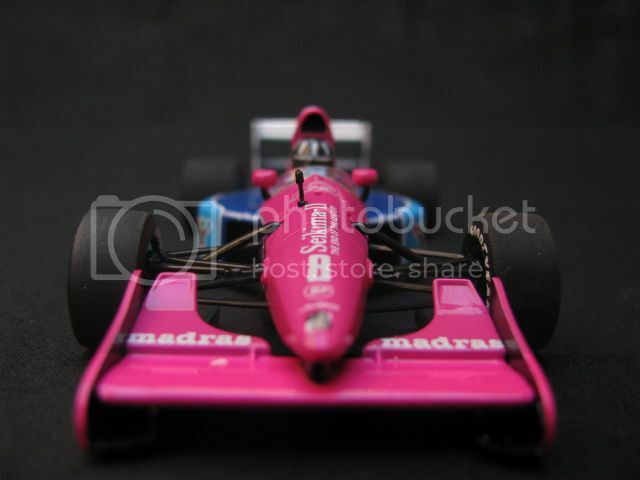 Darron - yes, the cars before 1993 are nicer in my eyes as they are wider and have low nose, that's why i focus my models on pre-93 F1 cars nowadays. The diecast you have on pre-order, is that an Exoto brand? they are famous for taking forever(10 years and counting for the MP4/6) in their new release. 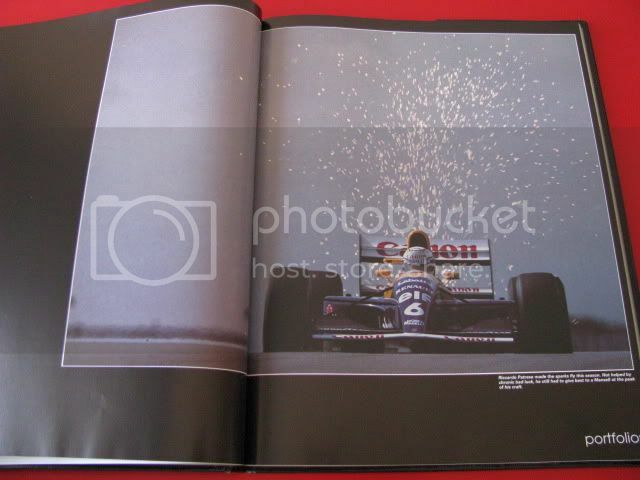 Sehnkhan - i also have 1 Senna print by Gavin McLeod. The 2011 Webber helmet is certainly very rare and you've got the #1 of the batch??? Tomasz - Nice photos, thanks for sharing. 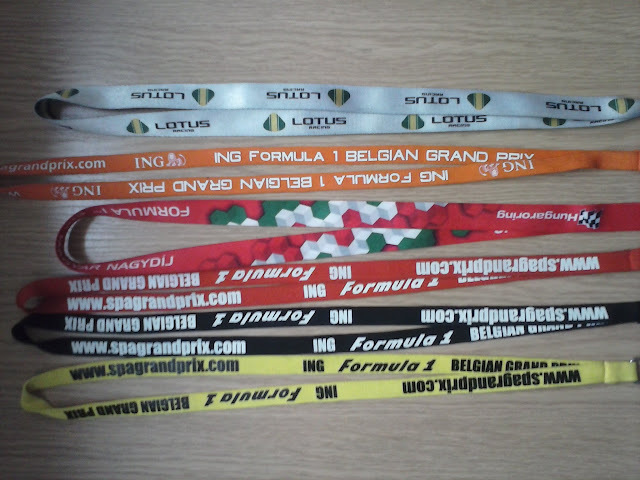 I've also kept the F1 tickets from the last few years, prior to that, i've lost those. What year is that Nico Rosberg helmet you've? is it in 1/2 scale? Edited 1 time(s). Last edit at 13/02/2013 13:08 by Rosberg. 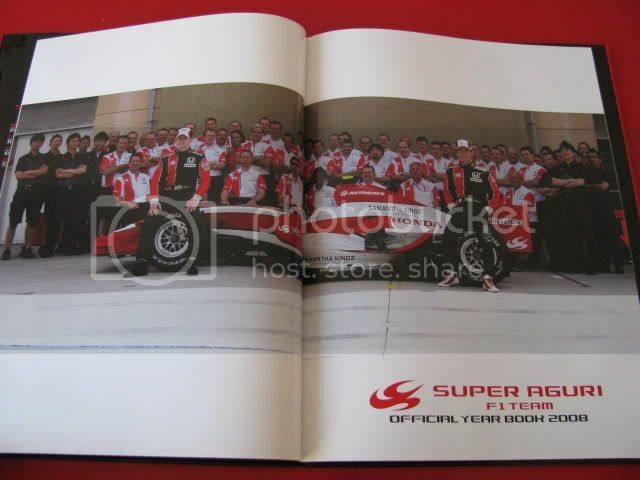 here is another rare F1 book - it's released by the now defunct Super Aguri team after their demise in 2008. 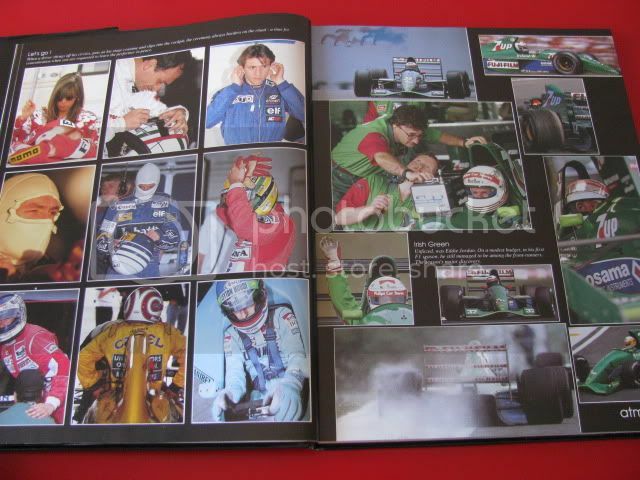 The book is in English and Japanese and has about 40 pages and large hardbound format. It's more like a photo album and all the photos are especially beautiful as a result of the large book. 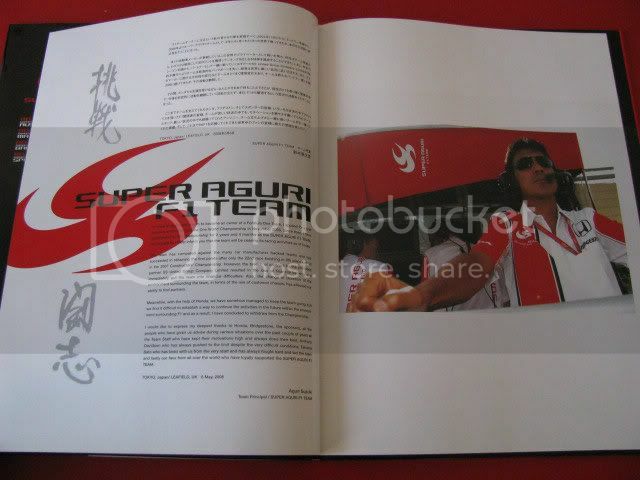 At the end of the book, just a few sentencses from Aguri Suzuki saying thank you to his supporters. "Two and a half years ago, when I announced my entry into the Formula 1 race, I stood alone. and today, I stand alone again. But not completely alone, becasue I have a team and fans all around the world backing me. These two and half years have been short, but intense. I thank God for giving me this chance. I thank our fans for supporting us. 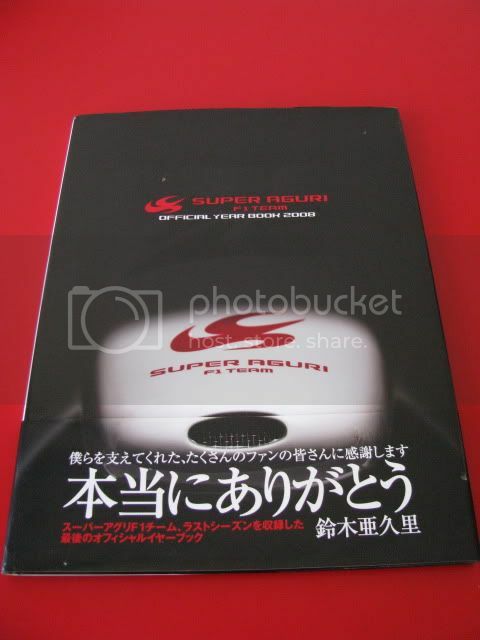 6 May 2008, Aguri Suzuki"
I found this book when i was travelling in Tokyo, I'd love to obtain a copy of their 2006 and 2007 yearbook but couldn't find it anywhere. Edited 1 time(s). Last edit at 13/02/2013 13:30 by Rosberg. 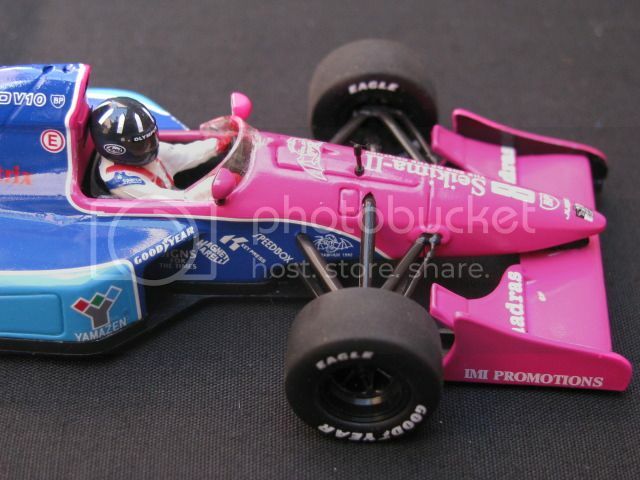 there are probably quite a few Damon Hill fans on this forum, here is a Damon Hill - 1/43 Brabham diecast by Minichamps. Rosberg - Yes, it is in 1:2 scale, Nico Rosberg helmet from 2008 by Minichamps. Maybe I'll post photo later. 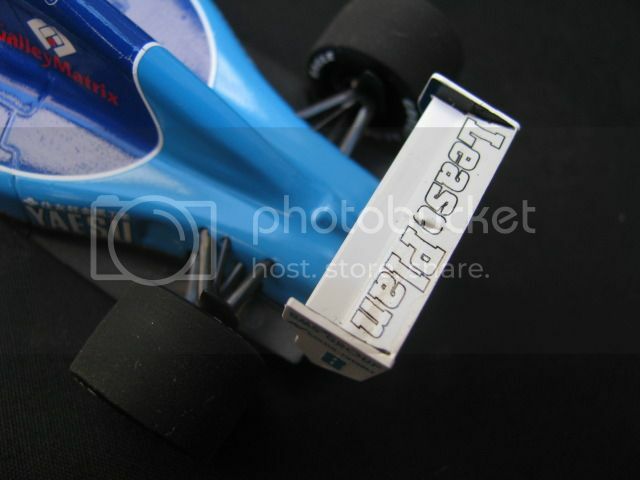 But last season I gave it as a 3rd prize in F1 predictor on Polish forum. I can't recall who won the last race. I don't know how the WDC changes from race to race. I have a mind for drivers and teams, but not year-specific. The only thing I keep an eye on, statistically, is the gaps between Williams and the teams right ahead and right behind on the WCC! I'll pore over race stats to look at strategy sometimes. I remember some Williams things, but certainly not with any real detail. Maybe that explains to you why I can't fathom how someone can have such an encyclopedic knowledge of F1! I don't archive my experience with the sport... Maybe I should and I'll have a crack at the quiz someday! Where do you live Rosberg? My backordered diecasts are all minichamps, I can't even remember what they are now! 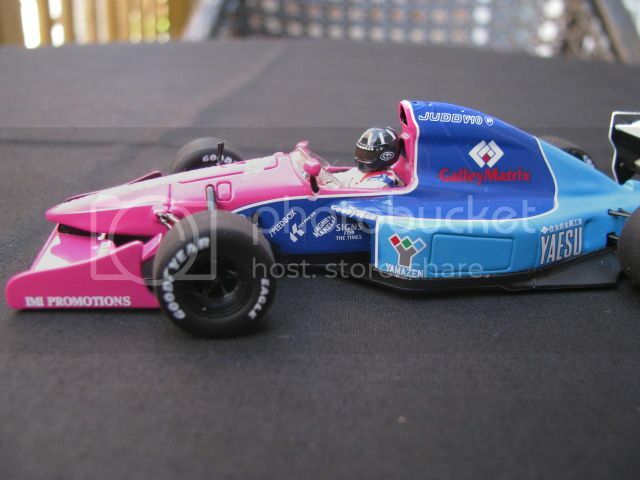 also got a Senna Lotus Honda to supposedly come.